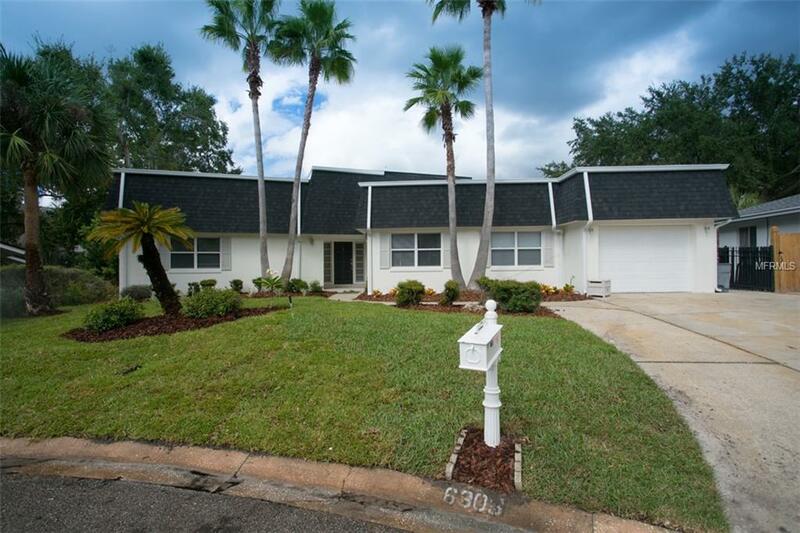 GREAT LOCATION in Bay Hill! This spacious and bright FIVE bedroom home sits quietly on a cul de sac and is JUST STEPS AWAY FROM THE MARINA and ARNOLD PALMER's championship golf course! Step into the foyer and be greeted by an impressive GREAT ROOM complete with built-in bookcases, fire place, wet bar, gorgeous new flooring and views of the pool through two sets of sliding glass doors. The EAT IN kitchen sits right off the great room for easy entertaining and is equipped with cabinets galore and ALL NEW APPLIANCES. The spacious MASTER SUITE directly accesses the pool and has THREE CLOSETS and dual vanity. Walk outdoors and enjoy the gracious patio space, expansive pool with DIVING BOARD, wood deck for sun bathing, putting green, privacy fence and serving station for entertaining! Enjoy access to all Bay Hill and the Dr. Phillips area has to offer with great dining, recreation and A-rated schools. This home has recently been renovated and is equipped with two new Bryant air conditioning units and NEW FLOORING THROUGHOUT. Call now for your private showing! Pet Restrictions Mature Pets Of A Non-Aggressive Breed. Listing provided courtesy of Stockworth Management Llc.